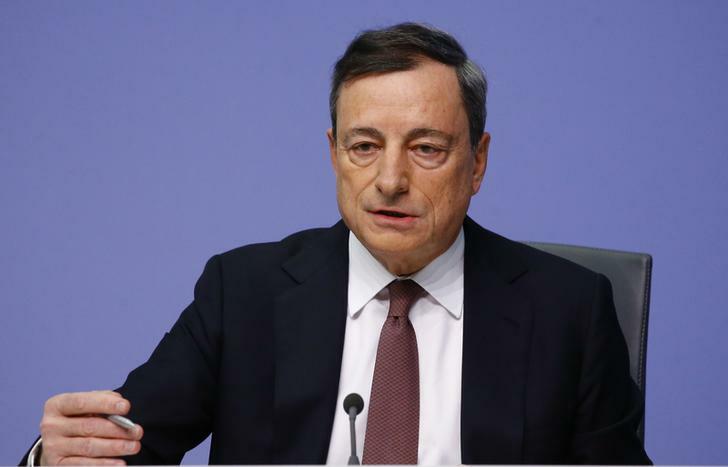 European Central Bank President Mario Draghi has driven euro and regional bond yields down by dangling the prospect of policy easing in March. But as with the bond-buying he unveiled a year ago, markets may be less impressed when the actual policy details emerge. The European Central Bank (ECB) President Mario Draghi addresses a news conference at the ECB headquarters in Frankfurt, Germany, January 21, 2016. The euro fell 1 percent against the dollar on Jan. 21, hitting a two-week low of $1.0777, after European Central Bank President Mario Draghi said turmoil in financial markets, as well as concerns over China and other emerging markets, would prompt a review of monetary policy in March. 10-year German government bond yields fell to 0.362 percent, their lowest since May 2015 after Draghi’s comments. Italian, Spanish and Portuguese ones also declined, and were down more than 10 basis points on the day.